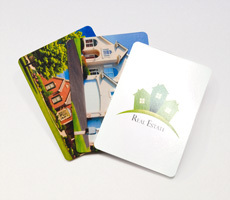 Our custom printed playing cards are perfect or any industry whether you're in the gaming, education, retail or corporate industry. 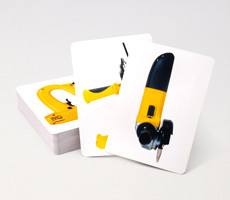 Our customer base are from all business areas who require high quality premium cardstock playing cards customized to their requirements. 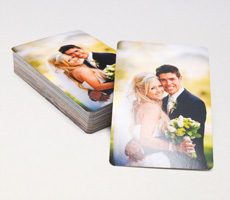 We have no minimum order restrictions so even if you only need 1 deck of custom made cards, we can do that for you too. All our cards are printed using cutting edge industrial printers and we have a go green attitude meaning we are very concious of being environmentally friendly. 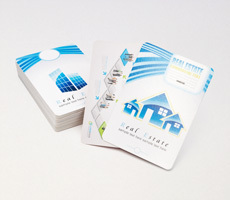 Waste is kept to a minimum so your cards are created without hurting the earth. 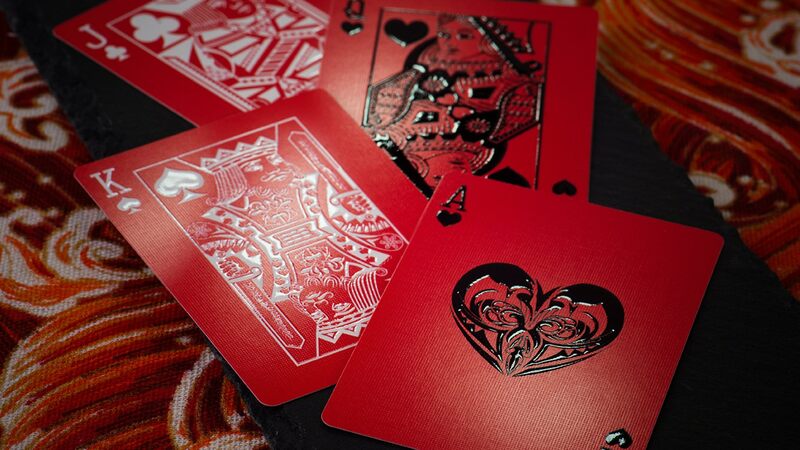 We also set ourselves apart from the competition with our revolutionary DIY online playing cards maker, so you have full control of the design, look and feel of your playing cards. This cuts out the middle man and reduces our costs which in turn provides cheaper prices for our customers. 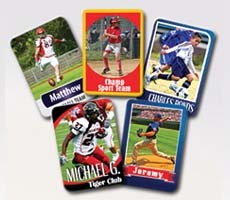 If you prefer, we also have a team of customer service ready to help you on any card related enquiries. Below we have sample cards for sample industries that we have catered for so you can get an idea of the quality and who our customers are. 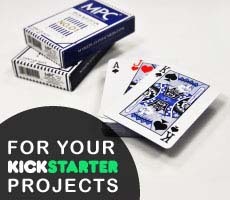 Here are some video samples of our custom made playing cards. 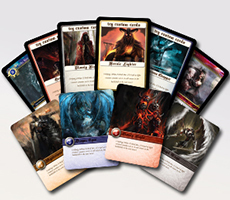 Our production process has been honed to perfection over the last 32 years in our very own manufacturing plant and we are now one of the best producers of board games and card games reknown internationally manufacturing for many high street board games that you see in the shops today. 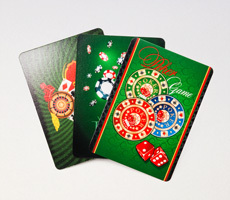 We put our cards through the test with a seasoned card player to show you how well they perform. "I couldn't be happier with these cards. The print quality is excellent, the edges are crisp and clean and the centering is very accurate. I'll definitely be ordering from MPC again, and I'm going to be telling everyone about them!"